If you look at the distance of the par 5s at Augusta National, you’re probably thinking to yourself that just about anyone can reach three of them. While No. 8 is 570 yards and uphill, No. 2 is 575 yards and mostly downhill, No. 13 is 510 yards and No. 15 is 530 yards. The truth is, that process is correct. There’s a significant different though about Augusta – the greens are very complex, delicate and firm. For those of you who don’t know much about golf, the shorter-distance clubs have higher loft. This starts at driver and stays consistent all the way down to a lob wedge. So, the longer the drive you hit, the shorter the distance your shot to the green will be, and the higher the loft will be from the club. This is especially important when it comes to going for the green in two on par 5s. If you remember last year’s Masters on Sunday, Bubba Watson, one of the longest hitters on the PGA Tour, obliterated his drive over the tree line on No. 13. 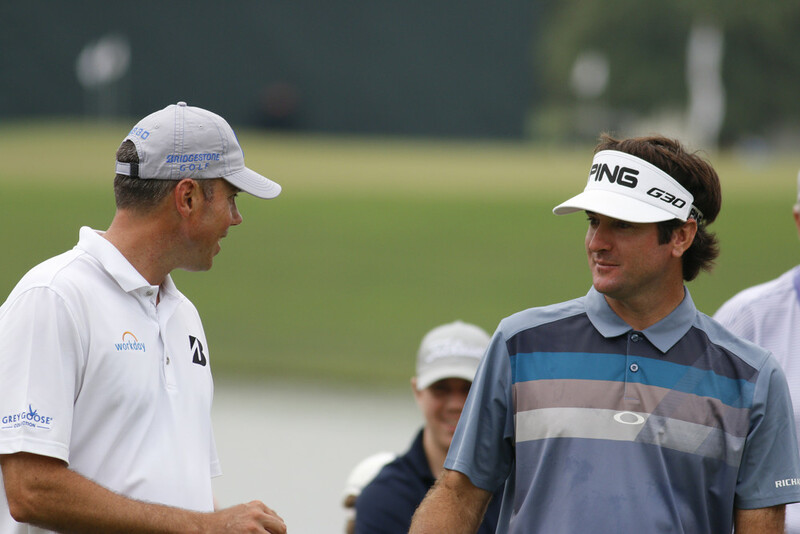 Bubba had a pitching wedge into the green, which is essentially unheard of. Unfortunately for him, it was an average approach and he two-putted for birdie, despite winning the tournament. A lot of players who hit into this green will be using hybrids or long irons. A pitching wedge typically has 45 degrees of loft while a 3-iron is 21 degrees. That’s a significant difference. Are these greens really that challenging? 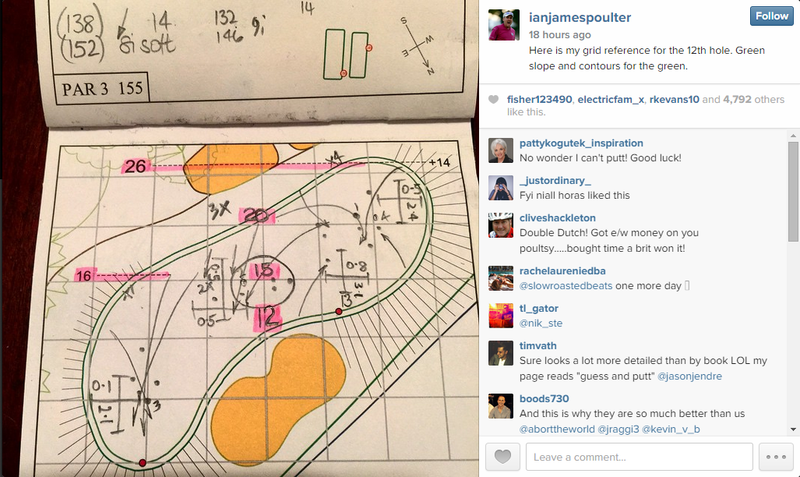 Take a look at an Instagram post from Ian Poulter earlier this week. This is a look at No. 12, the iconic par-3 at Amen Corner. Keep in mind, this hole is only 155 yards long. 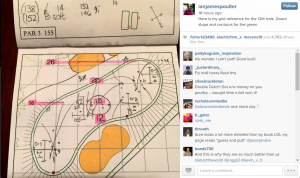 All professional golfers have their yardage books with notes, but this is the extent the players have to go to for Augusta. 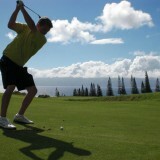 Every approach must be well thought out, and every ball flight must be precise. Take Louis Oosthuizen for example, who we encourage to use in your lineups because he’s a long-ball hitter and has great odds per dollar. Granted a shot actually dropping for a double eagle is extremely lucky (worth 20 points), but he is someone who will have the opportunities to go for them and should be able to post an eagle or two. If you’re just trying daily fantasy golf for the first time, eagles are a huge way to get an edge on the field. Eagles are worth 8 points, birdies are worth 3 points, pars are worth 0.5 points, bogeys are -0.5 points and double bogeys or worse are -1 point. At the Masters over the last five years, 31.4 eagles have been converted at each tournament, and only 20 were made last year due to some challenging weather. This doesn’t mean you should exclude all shorter hitters at all times, because there are some who have good odds per dollar, and it’s good to have variety when making several GPPs. But, when you’re making your lineups, I recommend going for people who are longer hitters or high up on the birdie-or-better percentage list.